SKYE CUP: Fall 3050 REGISTRATION IS OPEN! LADIES AND GENTLEMEN, Registration for the 2nd Biannual Skye Cup has begun! ALL RCOM's or RTO's should go to THIS POST in the Tactical Command (TAC Division) » Internal Competitions Forums. to Register! ELITE VENOM Good luck to all the regiments participating in the Skye Cup and thanks Hrunting! [LT1] Falcore Looking to join a team from the SPM. [LT-GEN] MrDoggss Woot! Hopefully I can participate this time. Great work! As some of you know, we are after a new Comms Officer. Unfortunately, I haven't been able to think of a replacement for myself. Thus, I need a volunteer. Communications Officer (COMM): The Communications Officer (COMM) is the Skye Brigade's Comstar Liaison. The COMM is in responsible charge of the HPG Hyperlinks in the Skye March and ensures their smooth and continuous operation. Loss of such interplanetary comms in the midst of war would be catastrophic to the brigade. The COMM is also resonpisble for maintaining inter-unit communications and the Brigade's VOIP server, Accordingly, the minimum Rank for this Position is Leutnant-General (LT-GEN). Your responsibilities include: Fixing bugs in the permissions systems, moderating the Teamspeak Server, assigning permissions as required, resetting the server as needed and possibly more. Please message myself, Guillocuda, if you are interested. Below you will find our updated list of qualification medal recipients. ELITE VENOM Congratulations to all of you! The Mech's of Star League. The Hussar was one of the SLDF's most popular and widely-used recon 'Mechs. It was originally conceived and constructed as an infantry support 'Mech, but, as it reached units, its incredible speed naturally lent the Hussar to a scouting role and eventually allowed it to take the place of the majority of light scout vehicles in use at the time. Its excellent communications gear allowed the Hussar to operate deep behind enemy lines, able to report not only enemy movements but also jam their communications and listen in on transmissions between enemy 'Mechs from as far away as thirty-five kilometers. 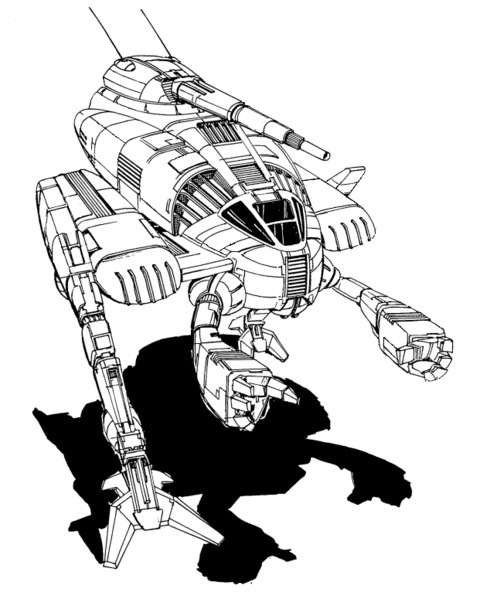 The Hussar was also the 'Mech that put Newhart Industries on the map when the 'Mech and its primary weapon proved to be reliable and easy to maintain and the SLDF put in several orders for larger 'Mechs from Newhart based on this reputation. Like other 'Mechs from the era, the Hussar saw a loss in capabilities with the fall of the Star League, although the communication system on surviving 'Mechs proved to be quite robust in the hands of good technicians. In 3055, Coventry Metal Works licensed the ability to produce the Hussar, which it did until the Word of Blake attacked Coventry in 3068. The Hussar has a single weapon on its chassis in a unique turreted mount on the center torso, the Newhart Extended Range Large Laser. While the use of a single weapon to provide defensive capabilities limits the Hussar, the superior reach of the ER Large Laser allows the the 'Mech to engage enemies at a standoff range and its speed allows the Hussar to dictate the range of the engagement, forcing enemies to fight on its terms. [KM-GEN] Kusak Snowtiger Thats the Plan Han's. Initial focus placed on odd balls that very few people Know anything about. [ARCN] Arturus Steiner a excellent! thx Kusak! I would also recommend the promotion of PFC Bloodcat to Senior Corporal in view of his outstanding activity levels and contributions he has provided for the Archers for the past month he has been with us. HPT ender28 has very graciously decided to step down as CCOM of Cornwall (Australasian) Company in view of his very recent inactivity due to RL commitments, but will remain as an LCOM with the conferred rank of 1st Leutnant. I would therefore take the opportunity to approve of SenSGM Ferrous Idaho's elevation to the position of Cornwall Company's CCOM with the rank of Hauptmann. [KM-GEN] Cipher a Correction: Guys and gal! 1st SJ Awarded Eagle's Feather and Dragonslayer's Ribbon ! I'd like to petition for the Eagle's Feather and Dragonslayer's Ribbon to be added to SJ1's (1st Skye Jaegers) accolades. This evening, we beat the 9th Sword of the Dragon (http://www.9thsword.org/gallery/thumbnails.php?album=1) for the fifth time in the past month. Guillocuda was present for the defeat of the 9th Sword defeat, and can corroborate that if needed. He has also witnessed our defeat of the 25th on multiple occasions. The SJ1 pilots work tirelessly to represent the Rangers brigade as a whole, and always conduct themselves with the utmost sportsmanship. I strongly feel that both because of their victories and their gentlemanly conduct that they merit these awards. ELITE VENOM Congratulations and well done! Salute! Greetings Skye Rangers! A few announcement’s from your friendly neighborhood TAC. 1. Registration for the 3050 Fall/Winter Skye Cup will begin November 1 and will close November 8th. Rules for the Fall/Winter cup will be posted on November 1st. Seeds will be drawn and Week one matches will begin Sunday November 10th. RCOM’s or their designated S3 Officer (Regimental Tactical Operations Officer) will be responsible for submitting a roster, scheduling drops and any/all other bookkeeping. 2. The Office of Tactical requests all interested RCOM’s to appoint an S3 (Regimental Tactical Operations Officer) to liaise with this office if they do not wish to themselves. All RCOM’s not appointing an S3 Officer will be responsible for the regular and timely communication with Brigade TAC. RCOM’s please use this post <LINK> to update your current Point of Contact with this office. 3. Proxis Season 3 has launched! <LINK> All regiments interested in competing should notify this office ASAP vis PM. The 10th Skye Rangers will be competing as a Faction on behalf of the Skye Rangers but other regiments are encouraged to join as a Faction, Mercenary or Pirate unit. NOTE: Proxis is a community run take on the metagame not a regular Tournament.